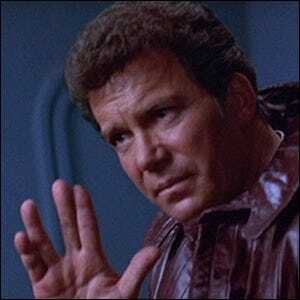 What Did William Shatner Require To Perform The Vulcan Salute? William Shatner might have been a dashing Star Fleet captain and all around beloved intergalatic explorer in his role as Captain Kirk but there was one thing he just couldn’t master. In the rare times when Shatner was required to do the traditional V-fingered Vulcan Salute the stage crew would use a barely visible loop of fishing line to hook his fingers together and keep them separated in the distinct V shape.